The creators of Localvore Today started their company five years ago with a simple goal: become a local version of deal-of-the-day services like Groupon. From a tiny art studio on Burlington's Pine Street, the three-person shop dispatched daily emails selling vouchers for reduced-price dining at Vermont restaurants, which then split the coupon revenue with Localvore. Earlier this month, the fledgling company, which now has 10 employees, announced a far more ambitious plan — to create an online platform that matches diners with restaurants serving local food in cities around the country. In the works for more than a year, the new site — now simply called Localvore — will allow food merchants to advertise their own deals, specials and events for a monthly subscription fee. Localvore's three founders predict it will be the only one-stop shop for every cocktail walk, oyster deal and Taco Tuesday in town. Lovers of local food — or "conscious consumers," as cofounder Meg Randall put it — will be able to find places to dine without first wading through dozens of often-vitriolic Yelp reviews. Just as Netflix suggests movies based on your viewing history, Localvore is building an algorithm to make dining recommendations based on your culinary preferences. The revamped site is still a work in progress, but an early version of localvore.co went live on September 13. A mobile app is scheduled to launch in early 2018. Localvore Today started in 2012 when three strangers met on Craigslist. Dan White had quit his job as a Groupon salesman in Chicago, moved to Burlington and was looking for someone to help him build the technology to start a local spin-off. Michael Nedell, a Burlington artist who had been working in the internet business since the early '90s, responded to White's ad. That August, the pair emailed Localvore's first deal, a $5 coupon worth $10 at the Red Onion Café on Church Street. A few months later, Nedell and White returned to Craigslist looking for a social media expert and found Randall, a recent college graduate who'd been working at the Feminist Majority Foundation in Washington, D.C.
"Michael's a dreamer ... Dan is a sales guy ... I'm a process person," explained Randall, whose title is cofounder and vice president of product. Localvore's revenue doubled annually for four consecutive years, topping $1 million last year, Nedell said. The company has expanded to Boston and Portland, Maine, enrolled 20,000 email subscribers and partnered with about 700 businesses. But they've always harbored bigger ambitions, according to chief operating officer Nedell. "We didn't start the company to be a small local business. We wanted to— " he started to say. "Support small local businesses," Randall finished his sentence. What distinguishes the new Localvore site from restaurant review sites like Yelp, which took in more than $700 million last year, and TripAdvisor, which made more than $1 billion? Consumers are accustomed to visiting these well-established forums for reviews that allow users to search for eateries based on rank, cuisine, location, price and other markers. White's response: "Localvore helps people find what locals love, not what tourists hate." The CEO and his partners suggest that restaurant review sites have become more of a hassle than an asset. Restaurants are subjected to reputation-tarnishing reviews, and diners waste time reading screeds about rude waiters and wobbly tables, without getting a balanced picture of a restaurant's offerings. Localvore.co will be rant-free, they promise. Patrons will be able to provide feedback to restaurants, but reviews will only become public if both parties consent. Taking a page from social media platforms such as Instagram and Facebook, visitors to the site can "follow" restaurants and farms to be notified about deals, specials and events. Restaurants may set up a free profile, but they will need to pay a monthly fee to take advantage of all the site's benefits. The ability to make an unlimited number of posts about specials and events costs $85 a month. The fee increases to $295 a month if a business wants to sell deals on the site. Those fees may sound steep, but Nedell thinks the subscription model is more egalitarian than what occurs on Facebook, which boosts a company's post depending on how much it pays. "It's become a bidding war to reach that audience, and bidding against big brands is expensive," he noted. Nedell declined to say how many restaurants have enrolled as subscribers, but at least some in Vermont are already game. 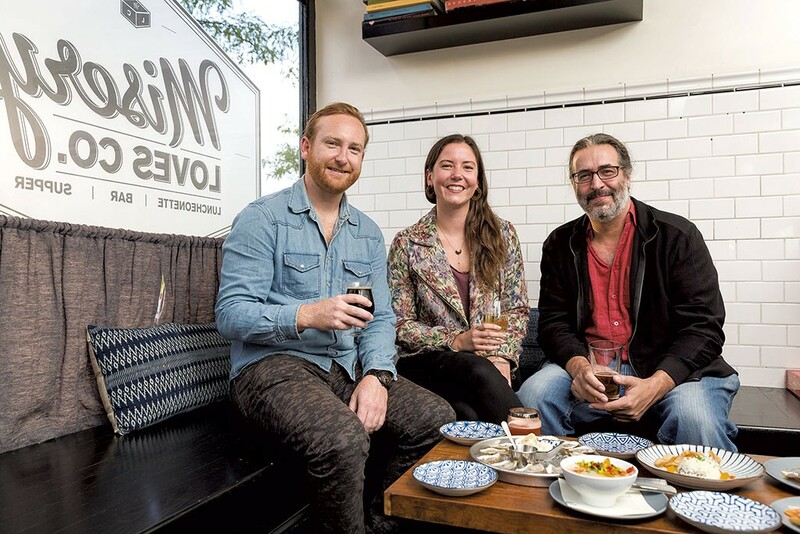 "It's so much more positive," said Laura Wade, co-owner of the Winooski restaurant Misery Loves Co., which has a Localvore profile and plans to sign up for a subscription. "You can have an insider's guide to good food and good places to go without it being this cutthroat, combative, critical point of view." But without those unvarnished reviews, will customers really be able to make informed decisions about where to eat? Their explanation: The site's algorithm will allow users to identify which restaurants are most popular with locals. How? Users are prompted to enter their zip code, which enables Localvore to distinguish between residents and tourists as it collects data about which deals people are buying and which restaurants they're following. This, Nedell contends, will be more useful than Yelp's ranking system, which awards stars based on the number of positive reviews. "If you look in Burlington, pretty much every restaurant has 4.2 stars," he noted. "How does that help you make a decision?" Randall asked. Not all restaurants will be welcome on the Localvore platform. Asked if McDonald's could sign up for a subscription, Randall responded with a definitive, "No, no, no, no." But she also said the standard for what's "local" won't be too stringent — "We're not the 'local' police," she said. Restaurants won't be the only participants. Pitchfork Farm, in Burlington's Intervale, has already taken advantage of Localvore's offer of free subscriptions for farmers. "It's tricky for farms to advertise widely — it's a budget constraint, really," Pitchfork owner Rob Rock said. "We end up using social media to who knows what effect, but social media is a noisy place to be advertising, and I'm not convinced it's what works best for farms." After running a deal on Localvore last spring, the organic farm experienced a 50 percent increase in purchases of its CSA shares. Rock and his partner are teaming up with a local chef to launch a meal kit subscription — "Picture a cross between Blue Apron and a CSA share," he said — with a marketing plan centered on the new Localvore platform. Until now, Localvore has relied on a small group of angel investors, including several Dealer.com alumni. But the Green Mountain State is not exactly a mecca for venture capitalists. "We want to raise all the money in Vermont," Nedell said, but he's not sure that's possible. To fund its new endeavor, Localvore initially raised $700,000; it's now about halfway to meeting its second-round target of $2.5 million. "The major challenge for Localvore is that it isn't located in New York or San Francisco. If it was, it would be a $100 million valuation company by now," said Preston Junger, a former Yelp employee who is now an adviser to the Vermont startup. Vermont's Flexible Capital Fund, a group of investors who put in money without taking company shares, has made two investments since last January. "We don't typically invest in technology businesses," explained fund president Janice St. Onge, but the investors are backing Localvore because its business model dovetails with the fund's mission of supporting green businesses in Vermont. "Their ability to scale beyond Vermont," St. Onge continued, "was something that was intriguing to us." She hopes the new platform will prompt a chain reaction in the food system: As Localvore's restaurant subscribers in and outside Vermont gain more customers, they may buy more food from farms in the Green Mountains. The Localvore team has launched its new service in Burlington, Boston and Portland, and it plans to expand nationwide, targeting cities with vibrant local food scenes, such as Asheville, N.C., and Denver, Colo.
"I think they have the technology to do it. The next big piece is, how do you build that brand? How do you bring in the consumers?" St. Onge asked. "It's the chicken-and-the-egg deal," said serial entrepreneur Mike Howe, who is a cofounder of a company called Vocinate and has a small stake in Localvore. He mentioned another Vermont startup, Ello, which pitched itself as an alternative to Facebook and became briefly popular but hasn't attracted a critical mass of users. "People go, 'Well yeah, [Ello] is great, but my 500 friends are on Facebook,'" Howe said. But he noted that Localvore's farm-to-table focus could help it gain traction, because it will be catering to an impassioned crowd. "It's a movement ... Those people are going to be early adopters," he said. Robert Bloch, a Champlain College professor who mentors student entrepreneurs in the school's BYOBiz Program, agreed that targeting a distinct market is smart. He made a different Facebook analogy, noting that the social media company got a foothold by targeting a "very discreet, tightly defined market" on elite college campuses. Nedell thinks offering deals that reduce the price of dining will be key to convincing consumers to follow merchants onto the site. Two hundred ninety-five dollars a month isn't cheap, but a restaurant's subscription comes with a key benefit. Under Localvore's old model, restaurants split the proceeds from a deal 50-50. Under the new arrangement, the restaurants keep all the money. "I would have done it all the time if we were keeping 100 percent of the revenue," said Lee Anderson, owner of Burlington's Radio Bean, ¡Duino! (Duende) and the Light Club Lamp Shop. Anderson wasn't immediately sold on the new Localvore. "At first I was like, 'Well, what's the difference?'" he said. "'What would make people utilize this instead of Yelp or TripAdvisor?'" After a couple of weeks on the new website, he said, he's sees the value in having a "curated platform" and plans to purchase a subscription. "If I was going to Montréal, and I knew there was a Localvore network set up there, that's probably the first place I'd look," Anderson said.